The following is a request for advocacy for parents and caregivers utilizing the Community Alternatives Program. This post contains information on changes to the C waiver and resources for families. The NC Division of Medical Assistance (DMA) recently released their proposed changes to the Community Alternatives Program (CAP) waiver policy which will combine services for both children and adults with disabilities. It is currently under a required public comment period until May 21, 2016. The proposal includes grossly inadequate overall yearly budgets for each child according to his/her level of care as determined by DMA. Currently, there is no maximum budget per recipient – there are only maximum budgets under each service heading to ensure that each child’s needs can be safely met in the community. It is unfair and unlawful for any family to be forced to institutionalize their child because they cannot get the support services they need at home. The CAP/C program is supposed to allow children the option to be at home instead of in a hospital or an institution. Title II of the Americans with Disabilities Act (ADA) requires this, and the Olmstead decision in 1999 upheld that it is a violation of the ADA not to provide services for people with disabilities in the most integrated setting possible. The proposal states that there will be a finite number of CAP slots but does not provide a specific number. A finite number of slots will make it difficult for children to get into the CAP program because of waiting lists. Medically fragile children do not have years to wait for services. Many have a short life expectancy as it is. The proposal reduces maximum “sleep time” hours for caregivers/parents from the currently allowed 56 hours per week to 40 hours. This is less than 6 hours per night. The expectation in this reduction would be that families would be forced to care for medically fragile children and hold a job on less than 6 hours of sleep each night. The proposed policy eliminates a family’s ability to change case management agencies unless they get approval from DMA first. This will cause unnecessary, potentially harmful delays. It is not person-centered planning and does not allow true freedom of choice in Medicaid providers. The proposal slashes respite hours to 720 hours per year, which is then limited further by assigning them as follows: 420 hours of these for the caregiver to be away from home or for caregiver relief, and 300 hours for the caregiver or beneficiary to be away from home. Currently, 20 hours per week of personal care time and a sliding scale between 180 and 720 respite hours per year (depending on amount of weekly, regular care hours provided). Families who have multiple children in the CAP program have to split these hours between the children. It is not provided to each child. Currently, family/caregivers have the freedom to use respite hours as they need. This flexibility is extremely important, especially for families without adequate informal supports available to help if regular hours are slashed as proposed. With a medically fragile child, just hiring the neighborhood babysitter is not an option. The proposal cuts the vehicle modification budget from $15,000 every 5 years (the life of the waiver) to $5,000 every 5 years. Lowering a vehicle floor and adding a wheelchair ramp costs between $12,000 and $20,000. This significant cut in funding will make many low income families unable to bridge the gap here and not even be able to transport their child to medical appointments. All services are subject to that initial max budget. Families will not have access to all CAP services because the budget is so low. For example, what services could a child with nursing level care who needs overnight care receive within the max $110,000 budget? The allotted 40 hours “sleep time” per week, 15 other hours (personal or towards time for caregiver to work) per week, and 84 hours respite per year. S/he could not get any funding for any other waiver services…no adaptive equipment, no assistive devices, no home modifications, no vehicle modifications, and no time for his/her parents to even work beyond the 15 hours per week mentioned! Likewise, to stay within the allowable yearly budget ($42,444) for skilled level of care (likely the equivalent of Pediatric Nurse Aide level, but the policy does a poor job of defining how levels of care are determined), a child would be limited to less than 40 hours per week with no other waiver services available except the required case management. This is not even enough time for parents to work a full time job. What are some things we can we do to fight these devastating cuts? Tell families with children currently on CAP/C (or applying for services) about the proposed policy changes that will result in a reduction of available services for every child currently on CAP/C or who may need them in the future. Send comments to DMA via their website given above or by email at: dma.webmedpolicy@dhhs.nc.gov Public comment is only available until May 21st. Aside from the issues mentioned above, ask for stakeholder engagement and a clear communication plan once waiver is approved (i.e. how will families know when their services are changed). The following are other ways you can advocate and people you can contact regarding issues with CAP. He recently publicized his intention to make supporting families and vulnerable citizens a priority in the state budget. Additional slots for those on the Innovations waiver and the current CAP/DA waiver were mentioned as they currently have wait lists. However, there was no mention of the C waiver and the proposed changes that are coming. Contact attorneys, case managers & service coordinators, physicians, nurses, home health/care agencies, medical equipment companies, therapists (OTs, PTs, STs, etc. ), counselors, social workers, ministers/pastors, hospitals, members of the media, and any medical providers or legal professionals you know. Tell them what is happening and ask if they’d be willing to contact their state professional associations (especially ones that have lobbyists). Further, agencies and organizations serving consumers and families on the C waiver how they plan to implement changes and notify clients. If you have a complaint related to issues with care that may be in violation with the ADA, a complaint may be filed by mail, fax, or e-mail. To learn more about filing an ADA complaint, visit www.ada.gov/filing_complaint.htm. 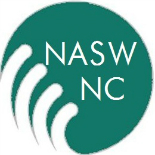 This entry was posted on May 5, 2016 by naswnc in Advocacy, Blog Posts by Topic and tagged CAP/C, Caregiver, Community Alternatives Program, developmental disabilities, medically fragile, NASW-NC, NC DHHS, NC Division of Medical Assistance, NC DMA, NC Social Work Advocacy, NCGA, Public Comments.